The book "A taste of immadencity" features a selection of images shot by fernandoprats in Buenos Aires, 2011, part of the upcoming "Immadencity, Buenos Aires Contemporary Architecture according to fernandoprats". 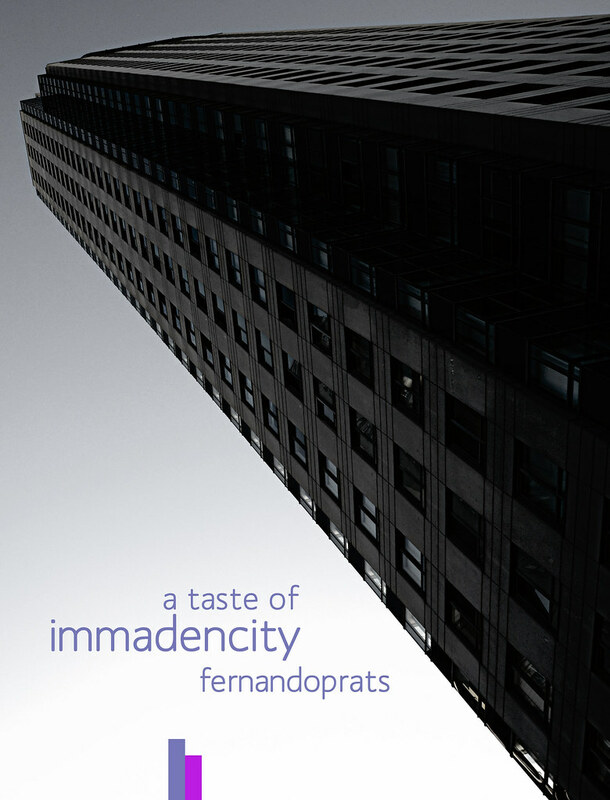 /// Nuevo: "A taste of immadencity" publicado. Se trata de un libro que anticipa la próxima edición de "Immadencity, Buenos Aires Contemporary Architecture according to fernandoprats". All of them were composed and framed during shooting in one day, with just a handheld camera, a lens and natural light. Postproduction was conceived as a way of emphasizing the singular, dense and immanent character of the city through a notably corporeal iconography in the area of Puerto Madero, and it is limited to obeying the histogram’s wishes. “Buenos Aires, en la cámara de Fernando Prats, es casi una evocación.